Learn a classic art! 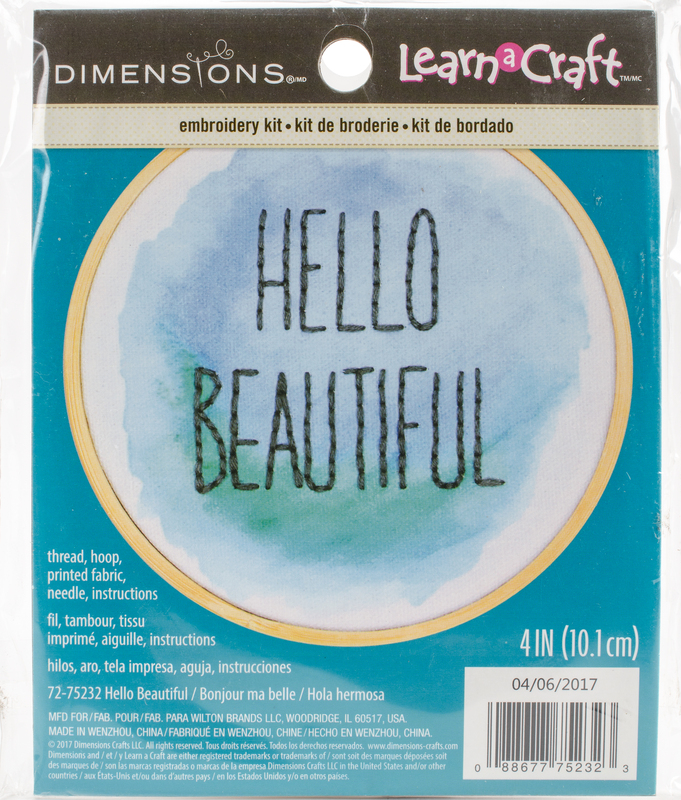 This collection of needle art kits are perfect for beginners with their simple yet fun designs. This package contains printed fabric, one 4 inch embroidery hoop for stitching and finishing, thread, one needle and easy to follow instructions. Finished size: 4 inches. Design: Hello Beautiful. Imported.